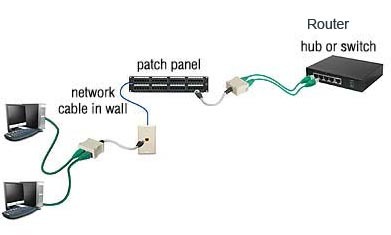 It Allows you to share the same Network Cables 4 Pairs with Two Computers and Two Ports on the Hub or Switch or Router. THIS ITEM MUST BE USED IN PAIRS UNLESS YOU UNDERSTAND NETWORK WIRING VERY WELL. 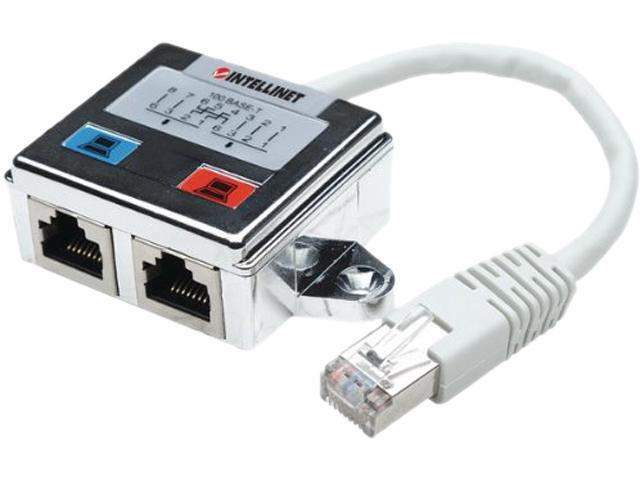 Compatible with 10BaseT and 100BaseT Operating Speeds. Used to connect Second Pair on CAT5e or CAT6 Cable. Without running an Additional Cable. Which is handy for already installed Applications. Must be used in Sets of two. Requires two ports on the Network Switch, Hub or Router.